The Pimpri-Chinchwad Municipal Corporation (PCMC) has woken up to the needs of more than 50,000 physically challenged people residing in its jurisdiction and has constructed a ramp at the entrance to its head office in Pimpri. In a major step towards assisting visually impaired to listen to written works, Minister of State for Communications and Information Technology Sachin Pilot on Thursday released the CD containing Text-To-Speech system (TTS) in six Indian languages. At a global conference Oct. 24-26 in Sao Paulo, Brazil, University Professor Peter Blanck, chairman of theBurton Blatt Institute (BBI) at Syracuse University, and key partners will highlight how the Global Universal Design Commission (GUDC) is leading an unprecedented effort to build support for the voluntary adoption of universal design (UD). Created to widen the concept of accessibility, the UD principles transcend the disability universe, considering other populations with needs, such as aging baby boomers. The UD approach advocates that all built environments and products be useable by all people. Blanck, along with University trustee and BBI board member Joshua H. Heintz L'69, and his law partner, William J. Gilberti Jr., founded the GUDC to create UD standards--consensus-based, innovative performance guidelines that go beyond minimal compliance with law and provide ease of use to all. The GUDC standards are modeled on the green standards for the built environment, designating a level of accreditation for a project based on its usability, safety, health and inclusiveness. At the third international Meeting on Technology and Innovation for Persons with Disabilities, Blanck will deliver the keynote address on "Universal Design in the World." James Schmeling, interim executive director of the GUDC and managing director of SU's Institute for Veterans and Military Families, will present on "Universal Design in the Civil Construction Industry." "The GUDC's presence at the conference comes at an important time. Brazil is considering adoption of GUDC standards to guide development for its 2014 World Cup facilities and its 2016 Olympics and Paralympics," says Blanck. "Brazil's interest is an exciting development, and we hope it will bring international attention to the importance of the GUDC standards." In addition to Brazil, BBI and the GUDC are collaborating with other university, corporate and government leaders to promote adoption of the standards. For instance, Procter & Gamble is partnering with the GUDC to focus on implementing the standards in its built environment and workforce policies; Greiner Hall, a residence hall at the University of Buffalo, used the UD standards; and Syracuse University College of Law's new building committee is considering using the standards. Twenty-five years ago, inspired by the dream of finding a cure after spinal cord injury and creating a more accessible and inclusive world, Rick Hansen set out on his Man In Motion World Tour- forever changing how the world views the potential of people with disabilities. The Rick Hansen Foundation has moved one step closer to realizing this dream through the launch of the Rick Hansen Global Accessibility Map - an easy-to-use online ratings tool that offers the opportunity to submit and obtain reviews from a mobility, hearing and sight perspective, on accessibility of buildings and public services in communities around the world. "While progress has been made, accessibility for persons with disabilities remains a barrier in communities across B.C., Canada and around the world. We all have it in us to become powerful influencers of change, and I invite Canadians to participate in the first phase of this new initiative by submitting reviews of accessibility in their own communities," said Rick Hansen. "Whether considering where to attend university, apply for a job, or simply go for dinner, people with disabilities, as well as their families, want to know what can be easily accessed and the Global Accessibility Map is designed to meet this need." As part of the Foundation's ongoing commitment to improving accessibility and quality of life for all people - including people with disabilities, seniors, parents with strollers or caregivers with mobility aids - the Global Accessibility Map is similar in concept to consumer reviews commonly found on travel websites, but with a focus on accessibility criteria. The online tool is available at www.rickhansenglobalaccessibilitymap.com, where visitors are invited to create an account, and begin rating venues from a mobility, hearing, or sight perspective. Ratings are based on accessibility criteria provided within the tool. In this first phase, the web-based tool is accessed by desktop, iPad, iPhone, BlackBerry Torch, and devices using Android 2.2 or above on the Opera Mobile browser. The long term goal of the Global Accessibility Map includes the development of a professional ratings tool as well as ongoing enhanced functionality that further meets the needs of all consumers. "The information generated by the consumer tool has the potential to create tangible, positive change in the lives of many people across Canada, and around the world. It will empower people to make informed decisions about accessible places to eat, work and play - while creating greater awareness about the economic power of people with disabilities. When accessible enterprises have more clients coming through their doors, it creates incentive," said Daryl Rock, Volunteer Chair of the Rick Hansen Global Accessibility Map Steering Committee. The launch of the Rick Hansen Global Accessibility Map was held at the newly-revitalized BC Place Stadium, which showcased accessibility upgrades as part of its complete renovation. Some noteworthy improvements include accessible seating areas throughout the stadium, thereby providing accessible seating at every price point within the stadium. In addition, airlocks that were previously problematic for wheelchair users have been removed, allowing accessible entry from any gate in the building; washrooms have been upgraded to include accessible facilities in each quadrant, including accessible family washrooms; and all suites now have the ability to accommodate accessible seating. "We saw the recent revitalization of BC Place as an opportunity to bring the accessible amenities of the stadium into the 21st century," said Howard Crosley, General Manager of BC Place. "As well as improved access and amenities, we now offer many more accessible viewing areas - located in every price bracket of the stadium - for wheelchair users, and their companions." The Global Accessibility Map is an innovation of the Rick Hansen Foundation, with financial support provided by the Province of B.C. through 2010 Legacies Now, Wallace McCain through the Mike Harcourt SCI Leadership Endowment Fund, the Blue Streak Endowment Fund and Rick Hansen Foundation fundraising. With the aim of empowering people with disabilities to participate fully in society by improving information on access to buildings and services, the Global Accessibility Map will promote inclusivity as a social good and fundamental right in Canada. the best available evidence on disability and makes recommendations for action in support of the implementation of the Convention on the Rights of Persons with Disabilities. The report was formally released on June 9, 2011 at the United Nations in New York City. Seelman and Steinfeld presented at the U.S. Launch and Symposium for the Report on September 12-13 in Arlington, VA. The two-day symposium was organized by The Center for International Rehabilitation Research Information and Exchange (CIRRIE), in cooperation with the WHO, Pan American Health Organization, World Bank, Interagency Committee Research, and the United States International Council on Disabilities. The National Association of Home Builders (NAHB) is premiering a new course on Universal Design/Build at the Remodeling Show in Chicago. With its focus on integrating universal design principles into all types of residential construction projects, the two-day training brings cutting-edge design solutions to building and design professionals. "This new course on Universal Design/Build will help builders and remodelers incorporate innovative design in homes," said Bob Peterson, CGR, CAPS, CGP, chairman of the NAHB Remodelers and owner of a remodeling firm in Fort Collins, Colo. "Universal Design/Build contributes more depth on design as a follow-up to the popular Certified Aging-in-Place Specialist courses created to help with developing home modifications for seniors and individuals with disabilities." The two-day course focuses on integrated home design and product specifications to accommodate differences in physical ability, health issues and aging. It expands on the aging-in-place concept by shifting the focus from specific modifications to meet the needs of one person to integrating universal design throughout a residential project. 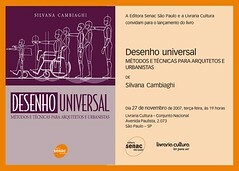 Graduates of Universal Design/Build will better understand the significance of universal design concepts in residential construction, identify differences between accessibility adaptations and universal design, learn methods of creating functional and attractive design, develop universal design solutions for simple and complex situations that address changing needs of clients and locate appropriate resources, products, materials and services for these projects. Gerontologist Nora DeVoe, PhD, from Buffalo, N.Y., participated in a pilot of the course: "I got a lot of great information to expand my knowledge...and had great insights from the presenters who were very well versed in their field. I also enjoyed meeting and networking with the variety of students taking the course with me. I look forward to putting this information into practice within my business." The idea that a diverse population needs a diverse environment to succeed seems easy enough to grasp. Certainly, it is easier to comprehend than a one-size-fits-all design philosophy. Why then, in the name of universal design and equality, do architects continue to design uniform one-size-fits-all environments? Answering that is not so simple. Some may suggest that construction methods, costs, and site restrictions make diverse environments economically and physically infeasible. Others may fault the lack of courses architects take in human biology and psychology. This might make it impossible for them to understand the diverse range of people their buildings affect. Even more may fault the ever increasingly abstract design process. This may hinder architects' ability to identify with real future occupants. All of these conceivably play a role, but the most likely culprit is Plato's philosophy of essentialism for the same reason biologist Ernst Mayr felt it caused evolution's insufferably late discovery; essentialism has and continues to fundamentally shape how we see and deal with diversity. The RESNA Standards Committee on Cognitive Technologies (CT) has been formed to create accessibility standards that will make technologies easier to use for people with cognitive impairment. The second meeting of this committee will take place in conjunction with the annual conference of the Coleman Institute for Cognitive Disabilities (http://www.colemaninstitute.org) on October 13, 2011, The Westin Westminster Hotel, Westminster, Colorado, 6:00 - 8:00. The committee is open for membership, and non-members with an interest can attend. There are opportunities for virtual attendance. For information, please contact Harmony Hilderbrand, harmony@beneficialdesigns.com, 775-783-8822. There are also surveys to identify priority technologies at www.beneficialdesigns.com/survey. Find the project on Facebook at www.Facebook.com/CogntiveAccessibility. Tourism Beyond Barriers: The Inclusive Tourism Trek Across India! 'Hidden in plain sight' - the final report of our groundbreaking inquiry into disability-related harassment. The report uncovers not only that harassment is a commonplace experience for disabled people, but also that a culture of disbelief and systemic institutional failures are preventing it from being tackled effectively. I would like to take this opportunity to thank the many organisations and individuals who have supported us throughout the past two years on this formal Inquiry and welcome your feedback on the report. You can contact us by email at: communications@equalityhumanrights.com or share the report and your views on Twitter using the hashtag #disbelief. The first international certification programme for accessible tourism destinations has been developed and carried out in Lous?, Portugal by the Belgian Accessibility Office, Toegangelijkheidsbureau (TGB). The Accessible Tourism Destination Certification Programme or ATDCP is based on an extensive audit of the Destination Management Organisation's accessible tourism policies, infrastructure, transport, services and visitor information, and includes accessibility assessments of the outdoor environment, overnight accommodation, attractions, activities and offers for visitors including persons with disabilities, older persons and families with small children. Designed and developed by accessibility and tourism experts, TGB Belgium, the ATDCP is a completely new destination management tool which provides an accurate measure of the excellence of an accessible tourism destination, based on strictly defined criteria. The Accessible Destination Certification Programme involves assessment meetings with destination managers coupled with on-site audits and document analysis, thus building a picture of the capacity and level of achievement of the accessible destination. Each element of the assessment is scored against a set of indicators, thus enabling managers to track the destination's performance over time and allowing for benchmarking across any number of destinations. The Programme also provides a tailor-made Action Plan for destination managers, with priorities for improvements to be made in the different facets of the accessible destination. The Action Plan aims to ensure that the destination will continue to develop and improve its offers to all visitors, giving them fulfilling, accessible experiences, whatever their interests and regardless of their age or abilities. The TGB Accessible Tourism Destination Certificate is valid for two years, after which time it must be renewed through a re-assessment process. Following the first National Conference for Accessible Tourism, hosted by Lous? in April 2007, an idea was born to make the region of Lous? the first accessible tourist destination in Portugal. Located in central Portugal, Lous? is known for the pristine beauty of the mountain Serra da Lous?, its rural "schist" villages, a long and colourful history, the local cuisine, adventure sports and several ideal health tourism assets. The project "Destino de Turismo Acessível" was launched with the support of national and EU funding. In the early stages of the project in 2008, the Mayor of Lous? together with some employees made a study visit to the TGB Access Office in Hasselt in order to find inspiration in the work which had been done in Limburg and Flemish Brabant. This study visit also became the basis for developing a joint European project. Portraits from the Royal College of Physicians... A panel discussion and opportunity to see the accompanying exhibition. How have people in history observed bodily difference differently? <http://www.kcl.ac.uk/artshums/depts/english/people/staff/academic/howard/index.aspx>(King's College London), Re-framing Disability project participant and actress, Sophie Partridge <http://www.sophiepartridge.com/>, and Royal College of Physicians curator, Bridget Telfer. Efforts to make Chicago's airports more accessible to travelers with disabilities continue with a new, unique visual paging system. For the first time, deaf and hard of hearing passengers flying in and out of Midway will be able to see paging messages all around the airport. Twenty-four flight information displays can now help connect travelers who are deaf and hard of hearing with friends and family with the new visual paging system. "The system has three main components, visual messaging which broadcasts," said Erin O'Donnell, managing deputy commissioner at Chicago's Department of Aviation. Inauguration of "ASEAN Disability Forum"
1. ASEAN Disability Forum should be established as a joint effort of multi-stakeholders, including ASEAN Secretariat, ASEAN member states, international development agencies, civil society organizations (CSO), media, business sector, academic groups, disability related organizations and disabled people's organizations (DPO) and their family organizations. 2. In November 2010, ASEAN Ministerial Meeting on Social Welfare and Development (AMMSWD) was held in Brunei Darussalam. This meeting adopted the 2nd Strategic Framework for Social Welfare and Development (2011-2015). ADF is positioned as a part of disability policies, especially under GO-NGO Forum. 3. Indonesia government proposed a declaration on disability to be adopted by the 19th Bali ASEAN Summit this November. Thai government also proposed the proclamation of the ASEAN Decade of Persons with Disabilities at the same summit. It is highly expected that this Declaration will mention ASEAN Disability Forum as a vehicle of ASEAN Decade. 4. ASEAN Secretariat, however, suggests that ADF should gain accreditation of ASEAN. With accreditation as a registered Civil Society Organization, the performance of ADF will be strengthened and more influential to promote the rights of persons with disabilities. 5. Considering these circumstances, it is quite significant to organize the Preparation Committee on ASEAN Disability Forum just before SOMSWD meeting in Bangkok, Thailand. As well, it is also effective and useful to organize national seminar to build capacity and raise awareness of disability community in Thailand, utilizing this opportunity. 7. This meeting is open for all the stakeholders who are interested in this movement. 8. Especially, Thai disability community is encouraged to observe and participate in the discussion. * DPI- AP will cover the airfare, accommodation and DSA for preparation committee members (one from each country), including their personal assistants. UNICEF is holding a call for papers on "Rethinking Socio-Economic Policy for a Recovery for All." Please see the announcement below and also a word document here. We encourage you to submit your latest research and thinking on the topic - send us an abstract. We very much look forward to your contributions. Please share with interested colleagues, partners, etc. The United Nations Children's Fund (UNICEF) is organizing an online call for papers on the theme of "Rethinking Socio-Economic Policy for a Recovery for All." Selected papers will be published by UNICEF. Authors wishing to submit papers are invited to do so on any of the sub-themes described below. Reaching the most deprived and most vulnerable children has always been UNICEF's central mission. A focus on equity for children is not only a moral imperative--the Convention on the Rights of the Child is founded on the principles of universality, non-discrimination and accountability--but also a necessary condition for ensuring a country's long-term growth prospect, which hinges on the wellbeing of children today. The equity focus is motivated by evidence of a growing inequity in a wide range of countries. Despite positive economic growth and progress in child-related MDGs, recent UNICEF analysis (Narrowing the Gaps) finds that a wide gap exists in that deprivations of children's rights are disproportionately concentrated among the poorest and most marginalized populations within countries. A key policy implication of this finding is the need to better understand how economic trends and different policy responses impact children and equity outcomes. UNICEF's Adjustment with a Human Face (1987) documented that adjustment policies failed to mitigate, and in some cases exacerbated, the impact on the most vulnerable children in the aftermath of the 1980s' crisis and recommended alternative policies to break the chain of worsening inequity. Today, the world has arrived at a similar crossroad. To what extent have the most deprived and most vulnerable children been hit by the effects of the global economic crisis and the ongoing threat of high food prices? How can the adjustment policy actions that are currently being undertaken achieve more equitable outcomes for children and more broadly for a Recovery for All? The United Nations Secretary-General has emphasized the need for governments to ensure a Recovery for All: "We must design recovery from the ground up. High unemployment, rising food and commodity prices, and persistent inequalities have contributed to a substantial rise in hunger, poverty and associated social tensions... Just as households have borne much of the brunt of coping during the crisis, they now run the risk of being left behind by the recovery. Global stabilization and recovery debates must take into consideration the specific needs of vulnerable populations." As governments are undertaking adjustments and reforms in a volatile economic recovery, they are presented with an opportunity to build a more resilient and equitable future by ensuring that their recovery strategies are pro-poor and inclusive. It is therefore timely to ask: Can the government play a greater role in supporting vulnerable populations and promoting equity more generally? Do social and economic recovery policies consider the impacts of high unemployment, rising food prices and structural inequalities? What are the social impacts of macroeconomic policy decisions, including the opportunity cost of not scaling-up equity-based interventions and social protection programmes? Given the limitations of commonly considered policy measures, what are some of the alternative policy options that are more conducive to inclusive and equitable economic development? Papers should contribute insight and value to UNICEF's mandate to be a "global, authoritative and independent voice for children," in the context of achieving the Millennium Development Goals and ensuring human rights. Papers can be based on country, regional or global experiences (e.g. policy inventory or stocktaking, policy analysis, etc.) and must be methodologically and empirically sound. We accept already published papers as long as UNICEF can have the copyright to re-publish. Interested authors are invited to submit papers on any of the sub-themes toiortiz@unicef.org, jchai@unicef.org and mcummins@unicef.org NO later than 20 October 2011. Each paper should include an abstract, JEL classification and the sub-theme for which it is being submitted. A recent study conducted by Auburn University and PUSH Product Design suggests that alternative forms of communication utilizing a visual interface can increase the communication rates for children with autism. This project was undertaken to capture the impact that various targeted iPad applications could have on children with autism and how they communicate. The study utilized two different apps on the iPad, one for making choices about their schedule (i.e. snack time) and the other to enhance social interactions. In their report, the research concluded that social stories could increase motivation, positive play, engagement and attention while decreasing inappropriate behavior. The M-Enabling Summit invites you to participate in a ground breaking sharing of experience among mobile industry executives, apps developers, disability and accessibility experts, government officials and policy makers. FCC Chairman Julius Genachowski, Judy Brewer (W3C), Jenifer Simpson (AAPD), Susan Mazrui (AT&T), Caroline Ragot (Code Factory), David Dzumba (Nokia) will be speakers at the Summit alongside with Mohammed Al-Tarawneh, Inaugural Chairperson of the United Nations Committee on the Rights of Persons with Disabilities, as well as more than 60 speakers: Mobile accessibility experts, operators, apps developers, private sector leaders and disability organizations. Just a small group of people know about the existence of beach wheelchairs, a wheelchair with thick and strong tires that make it easy to wheel on the beach. People knowing about the existence of the beach wheelchairs are mostly the users themselves, family, friends and owners of beach wheelchairs. To make the beach wheelchair a bit more famous and to inform and encourage people with disabilities to go to the beach, Accessible Travel Netherlands developed an online brochure called 'Beach wheelchairs along the Dutch coast'. The Dutch version is now available on this website and the English and German brochures will be available soon. In cooperation with Stichting Gehandicaptenvoordeel (Foundation for Advantages of PwD's) and support from municipalities along the Dutch coast, the online-brochure became a fact! explains how to purchase a beach wheelchair or beach wheelchair tires. The Beach caterpillar at the beaches of Noordwijk and Katwijk. Mint Hotel is ideally situated on the bank of the river IJ, next to Amsterdam's Central Station and close to some of the city's most visited arts and cultural attractions. The hotel provides an ideal base for business and leisure travelers seeking a convenient and accessible hotel amid the hub of the Dutch Capital's commercial and tourist centre. Mint Hotel's beautifully designed guest rooms and suites are modern and comfortable, designed with ample space to work, relax and unwind. Each room offers a multi-media iMac system, floor to ceiling windows for natural daylight and purified air conditioning. Complimentary high speed Wi-Fi is available in guest rooms and throughout the entire hotel as standard. romper paradigmas y barreras, típicas que países como los nuestros existen y de una u otra manera he han ense?ado a no rendirse nunca. Luego de mi trayectoria como deportista paraolimpico, actividades culturales, liderazgo y funcionario público (Concejal 2005 - 2009) de mi ciudad he he propuesto en promover una nueva forma de Turismo Rural, sostenible y sustentable al servicio de los turistas, mi casa para alojamiento, disfrute de la naturaleza, entorno y convivencia en familia. Por lo que hize los esfuerzos necesarios para que Hostal Familiar Las Granadillas, también sea accesible para personas viajeras con discapacidad que gusten de la aventura y disfruten conocer el mundo y su gente. Además: Fundamentado en mi experiencia como persona con discapacidad, y deseen visitarme familiares o personas que tengan alguna discapacidad, gustoso motivaré y orientaré en vida independientre y superación; a traves de: Charlas y demostraciones con programas de adiestramiento. As the message of Inclusive Tourism diffuses through the travel and hospitality industry we see increasingly broad application of the principles of Universal Design, geotourism, and social inclusion presented in matter-of-fact ways such as these Visit England case studies on truly responsible tourism. La muralla de ávila ha estrenado hoy las primeras videoguías que se aplican en Espa?a para la visita a un espacio abierto, tal y como ha destacado durante la presentación el alcalde de la ciudad, Miguel ángel García Nieto, quien ha subrayado el hecho de que se trate de un dispositivo con contenido universal. "La muralla de ávila hoy da un paso más para ser más accesible con este nuevo recurso turístico" al que el regidor ha denominado "audiovideoguía", teniendo en cuenta que aúna estos tres elementos para los visitantes que recorran los puntos del adarve abiertos para que el público pueda recorrerlos. El estreno se ha producido en el tramo accesible del principal monumento de la ciudad, tres a?os y unos meses después de aquel 30 de abril de 2008, tal y como ha recordado García Nieto, que también ha hecho referencia a la designación de ávila como Ciudad Europea Accesible para 2011. Según el alcalde, la muralla, que "fue concebida como un elemento defensivo, comenzó -hace tres a?os- a tornarse en algo para todos", con rapas para personas con movilidad reducida, así como un punto de información sonora y escrita. El alcalde, que siempre había expresado su deseo de ver una silla de ruedas en el adarve de la muralla, cumplió entonces un deseo que hoy ha dado un paso más con la presentación de este dispositivo que cuenta con el "valor a?adido" de contar con un "dise?o universal", que incluye la misma información "para todo el mundo". Each month, White House staff who work on disability-related policies host a public, live-captioned conference call to keep the public better informed about important developments on many different disability issues. Fun facts to know and share: many major US air carriers charge $25 per ticket to book by phone rather than online. Seriously. All these carriers claim to waive this fee for disabled passengers in compliance with federal law, though Delta got caught (by reporter Pat Pheifer of the Minneapolis Star Tribune) trying to evade this policy recently. Really? Again, some more Delta? Meet Jim Elliot and Diveheart. SEPT 10 -- I refer to the article on KLIA2 takes off today. low-cost terminal from constructing aerobridges in KLIA2. to the tonnes of possible profits. unacceptable for the MAHB to allow such an exemption. and out of a plane. MAHB and is highly unacceptable! * Rahman Nordin reads The Malaysian Insider. The Fourth Session of the Conference of States Parties to the Convention on the Rights of Persons with Disabilities will be held at UN Headquarters in New York from 7 to 9 September 2011. The Conference will include a high-level segment and general debate, as well as two Roundtables entitled ?Realizing the CRPD through international cooperation? and ?Ensuring effective and full participation in political and public life?. This session will also include an informal meeting entitled ?Realizing the right to work?, as well as an interactive dialogue on the implementation of the Convention?. Background notes and other details are available on the United Nations Enable website at: http://www.un.org/disabilities/default.asp?id=1571. During the Conference, almost 40 side-events will be organized by Governments, UN agencies and national human rights institutions, as well as non-governmental organizations and organizations of persons with disabilities. 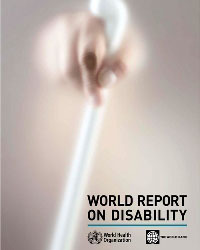 A detailed list of side-events is available at: http://www.un.org/disabilities/default.asp?id=1584. A day prior to the opening of the Conference, the Civil Society Forum will be organized by the International Disability Alliance (IDA) with the support of the Department of Economic and Social Afffairs (DESA). Subscribe to the United Nations Enable Newsletter at:http://www.un.org/disabilities/default.asp?PID=312.